Four people have been arrested in the UK as part of an international operation to combat computer hackers. 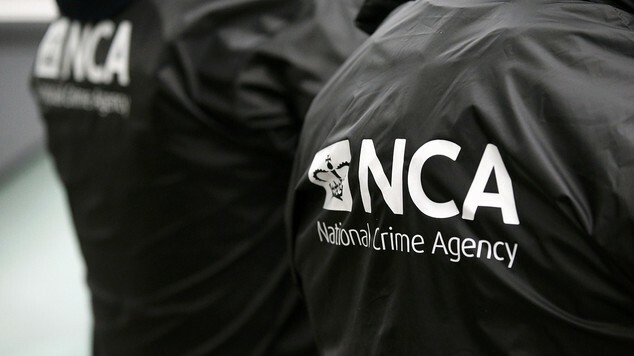 Another 11 suspects were also arrested in Estonia, France, Romania, Latvia, Italy and Norway in a series of cross-border raids, the National Crime Agency (NCA) said. The operation targeted suspected users of tools known as Remote Access Trojans (RATs), which allow cyber-criminals to gain control over computers, including being able to turn victims' webcams on and off and access banking or other personal information. Two men, both aged 33, and a 30-year-old woman were arrested yesterday in Leeds, while a fourth man was detained in Chatham, in Kent, the NCA said. A search warrant was used on a 19-year-old man, from Liverpool, who was brought in for voluntary questioning. THREE People Have Been Arrested in Leeds, UK, as Part of an International Operation to Combat Computer Hackers. Another 12 suspects were also arrested in Kent, Estonia, France, Romania, Latvia, Italy and Norway in a series of cross-border raids, the National Crime Agency said. The operation targeted suspected users of tools known as Remote Access Trojans (RATs), which allow cyber-criminals to gain control over computers, including being able to turn victims’ webcams on and off and access banking or other personal information. Three men were arrested yesterday in Leeds, aged 33, 30 and 33, while a fourth man was detained in Chatham, in Kent, the NCA said. A search warrant was used on a 19-year-old man, from Liverpool, who was brought in for voluntary questioning. The Leeds arrests included a 33-year-old man and a 30-year-old woman in Armley on 20 November, and a 33-year-old man in the city centre on the same day. Police said criminals who successfully deploy RATs could gain complete control over target computers, anywhere in the world. “They can turn victims’ webcams on and off, access banking or other personal information, download new and potentially illegal content, and instruct the victim’s computer to help commit acts of criminality such as Distributed Denial of Service attacks. “The illegal use of Remote Access Trojans is a significant cyber crime threat, demanding this kind of strong, coordinated response from international to local UK level. Police advise PC users to avoid clicking on unknown links, or files sent from unidentified or suspicious sources, and to keep security software up to date.